Sweet, savory, healthy and divine. 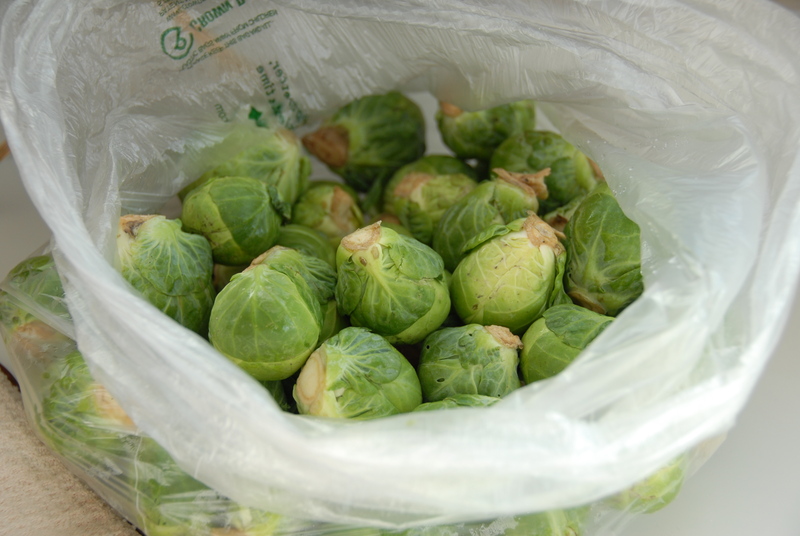 These little treats will turn any non believer into a true brussels sprouts fan. The best part of this recipe – it’s not only healthy and beyond tasty but it’s super quick and easy to make. Thanks to Dan Barber of Blue Hill at Stone Barns for this delicious preparation. 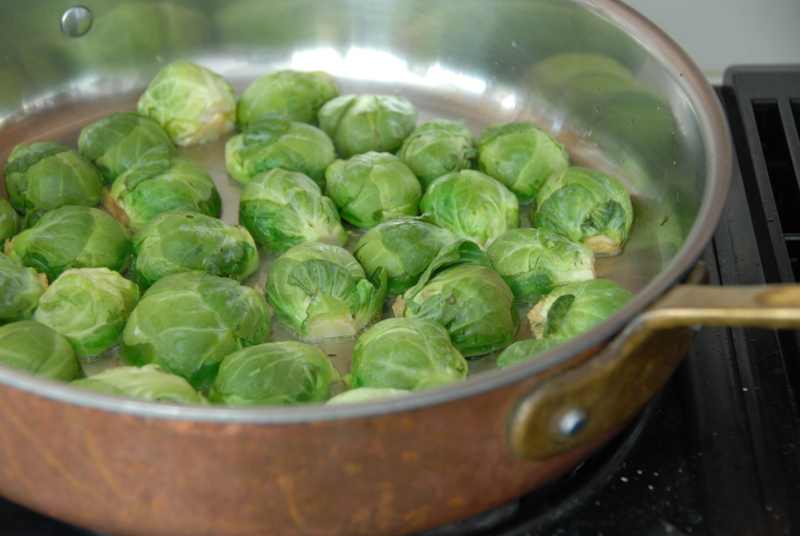 Once your sprouts are all trimmed and ready to go heat the oil in an oven proof skillet and place them face down. 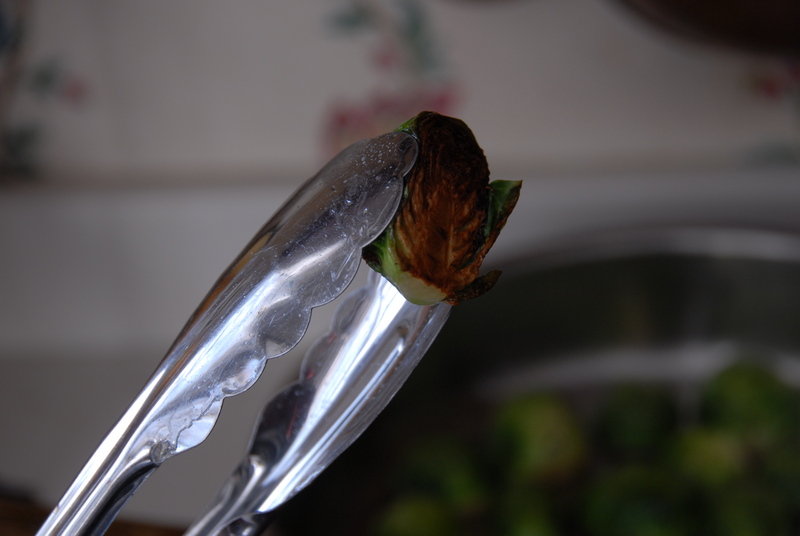 Leave the sprouts be until they are browned and have a good crust…this took me about 5-7 minutes. Once they’re good and browned place the skillet in the oven and roast for 4-5 minutes. Take out the skillet and place back on the heat. 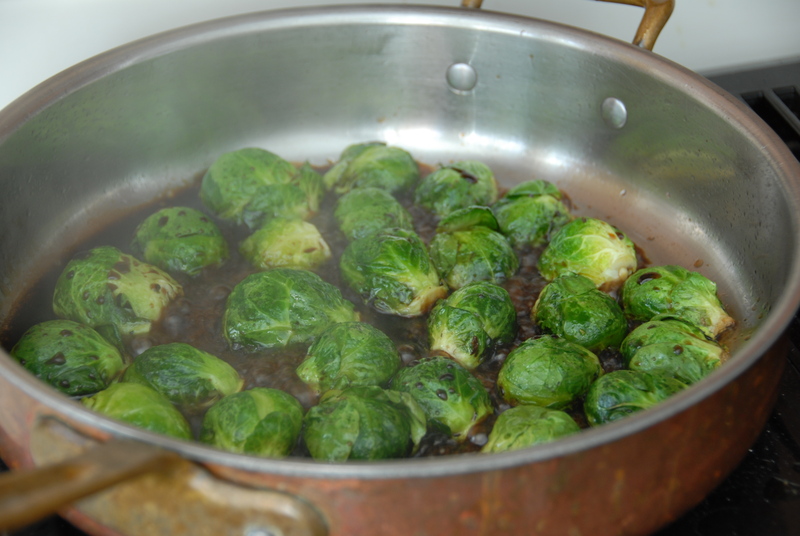 Add the balsamic and toss – coating all of the sprouts. Cook until there is no liquid left at the bottom of the pan and the balsamic has turned into a syrupy glaze. Serve immediately and enjoy. But beware… these little guys are addictive! This entry was posted in Brussels Sprouts and tagged balsamic glaze, balsamic vinegar, Blue Hill at Stone Barns, brussels sprouts, easy, quick. Bookmark the permalink. 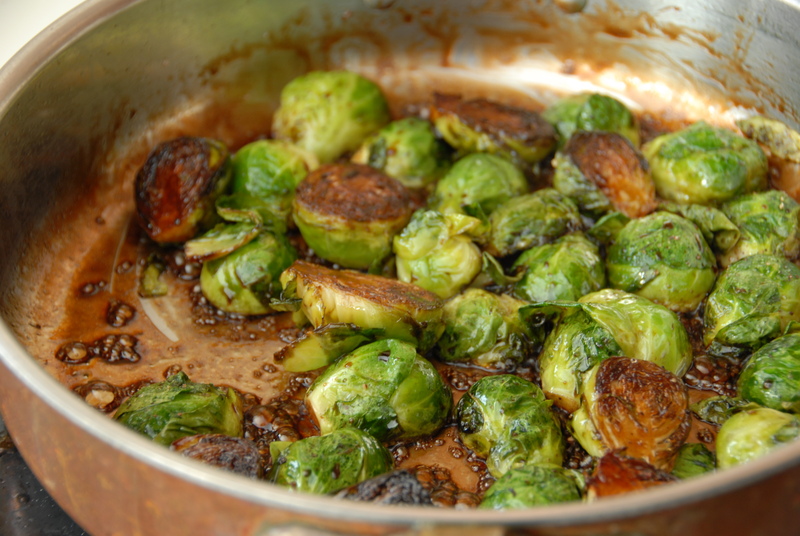 I just had to let you know that the balsamic brussel sprouts were amazing. I improvised a little – added a touch of bacon grease to the olive oil and sprinkled some fresh-grated parmesan just before serving. My kids, generally, refuse to eat any kind of cabbage, but they actually ate the sprouts and got seconds!! I have been meaning to try this recipe ever since it was posted few months ago. I just tried it tonight and it was delicious! Thanks for the recipe! Glad you enjoyed it – They end up tasting a heck of a lot more like candy than veggies!